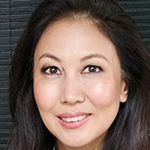 Dr June Goh is a Senior Consultant in Singapore General Hospital and the Director of Neuroanaesthesia and Neurocritical Care. As member of the Core Faculty Anaesthesia Residency Programme, Adjunct Assistant Professor Duke-NUS Graduate Medical School and Clinical Lecturer in the Yong Loo Lin Medical School, June is involved in teaching both medical students and post graduate doctors. She Chairs the Division Welfare Committee, the Transplant Oversight Committee, and co-chairs the Singhealth Fundraising Gala. She is currently serving on the board of Yong Siew Toh Conservatory, sits on the Dover Park Hospice Governing Council and co-chairs the DPH fundraising committee. June graduated from the National University of Singapore and completed her postgraduate Anaesthesia training in Addenbrookes Hospital, Cambridge. She has been an active member and past president of the Association of Women Doctors Singapore (AWDS) executive committee. June was 1st Vice President in her past term at SCWO and is now in her second term as President of the Singapore Council of Women’s Organisations (SCWO). Passionate about women’s family and health issues, June has previously co-chaired Star Shelter, and also actively participates in dialogues and feedback sessions organised by the Ministry of Social and Family Development and the People’s Association. In the past years, these issues have involved the CPF, Medishield, Eldercare Package, National Servicemen and the National Budget. She attended the fifty-ninth session of the Commission on the Status of Women, in accordance with Economic and Social Council resolutions which undertook a review and appraisal of the implementation of the Beijing Declaration and Platform for Action. The President’s forum September 2013 featuring breast cancer awareness was planned and moderated by her.